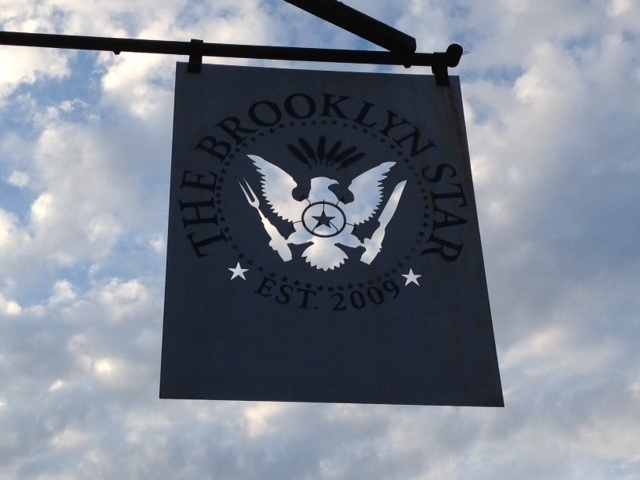 I'd visited The Brooklyn Star for dinner once before, and really really enjoyed it, so a few months later I planned a trip back. Three of us met up for dinner at 6:30pm on a Saturday night. Obviously it's in Brooklyn, but only 2 stops in from Manhattan on the L train! Do it, Manhattanites, I promise it's worth the trip. The back dining room. 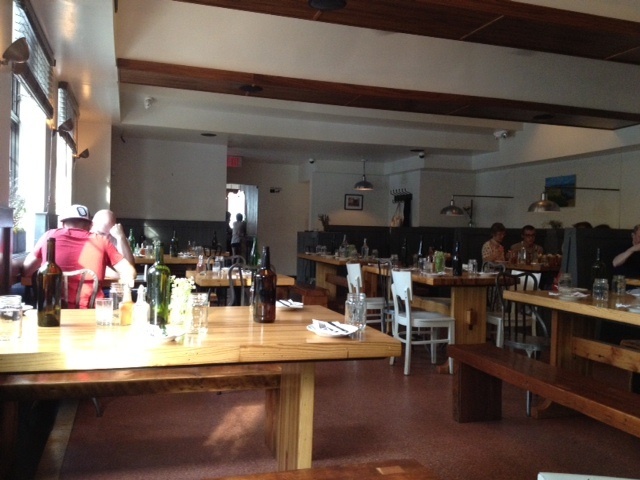 At the front of the restaurant there's a bar and smaller dining area with high tables and stools. 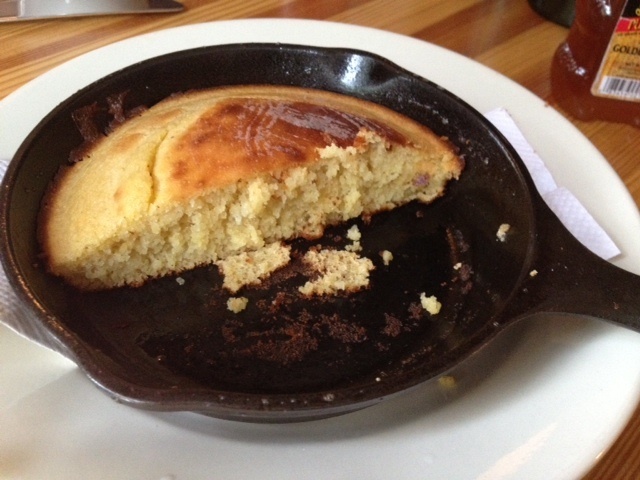 Cornbread, $5: The cornbread is made upon order, so it takes about 15 minutes. It's definitely worth a wait. The portion is quite large, and great for sharing. I liked the texture of the cornbread because it managed to stick together pretty well, and not crumble all over the place. 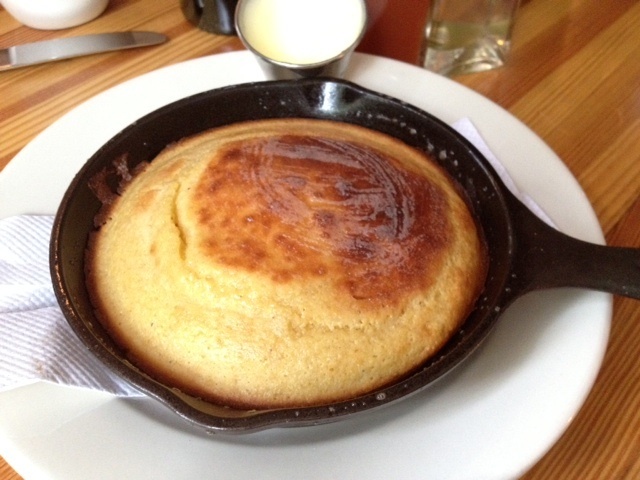 The cornbread is probably around 3 centimeters thick. 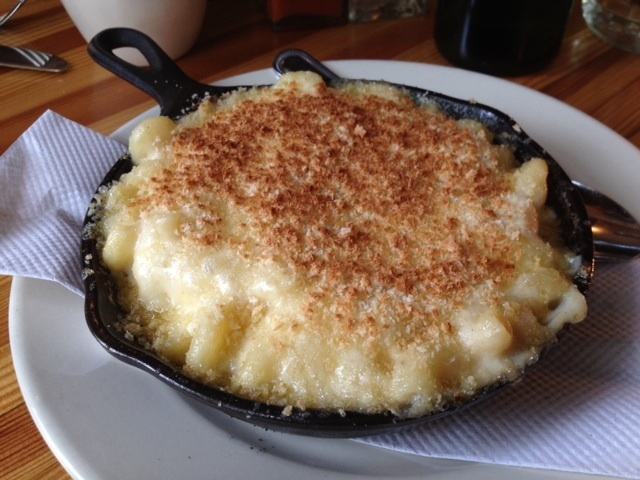 Mac and Cheese with Bacon, $9: A very homey and comforting mac & cheese. So very satisfying. As much as I adore Norma's, this is a less fancy (bacon instead of lobster) and cheaper version. 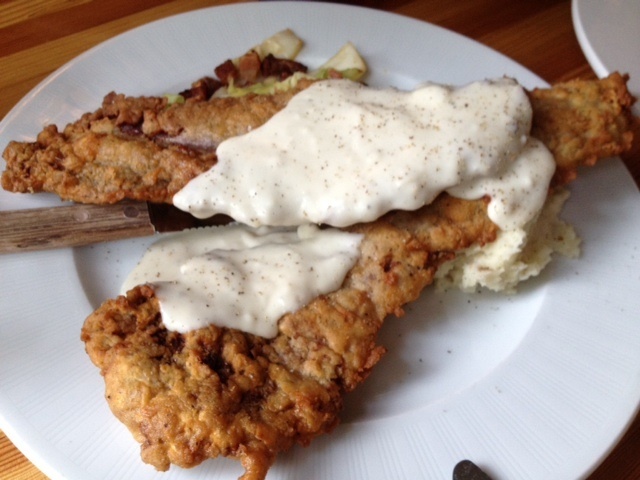 Country Fried Steak with Mashed Potatoes, Bacon, and Hot Slaw, $15: The shining star of the meal! We considered ordering 2 of these, but decided we really should try a variety of dishes. To be honest, I never even saw country fried steak until I got to college and saw it served in the cafeteria. Now that I've discovered it, I feel like I need to make up for the years I've been missing out. I mean really, steak, seasoned and pan-fried? Genius. This was nice and crispy with lots of flavor. I don't think the sauce was even necessary. 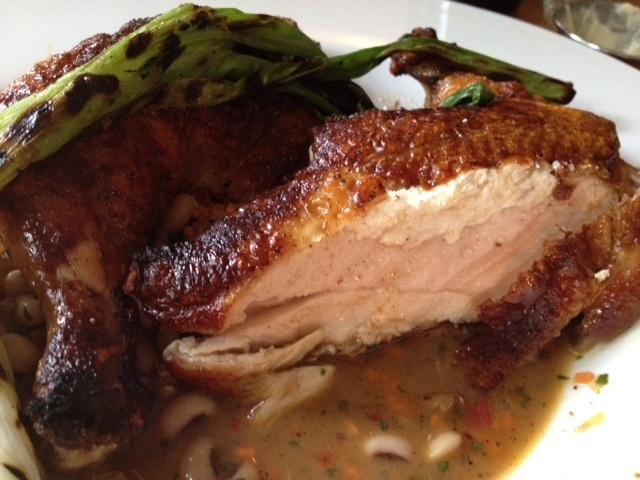 1/2 Roasted Chicken with Carolina Rice, Apples, Country Ham, Pea Leaves, $22: Decent, but worth skipping for a second Chicken Fried Steak or Mac 'n Cheese. Here's a picture to show the goat cheese tucked under the skin! In my opinion, cheese is a great addition to pretty much any dish, so this was much appreciated. Come with us next time!! 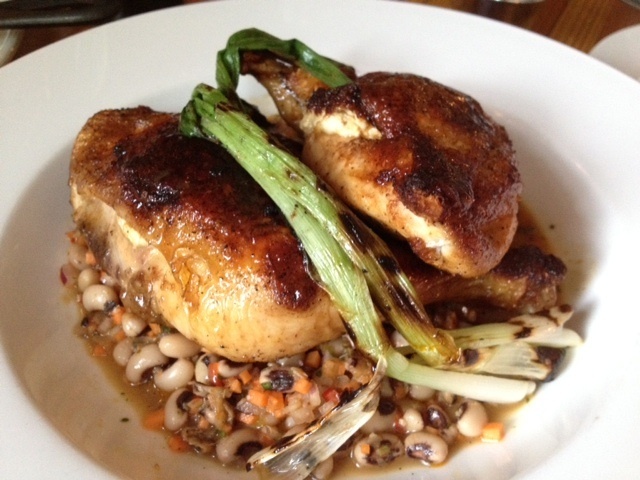 OMG, that cornbread looks absolutely perfect and I love goat cheese stuffed chicken!